This month, the Oregon State Legislature will decide the fate of the Clean Fuels Program, a landmark program which holds the oil industry accountable for their carbon pollution by reducing the carbon content of their fuels. If our legislators don’t act, the program will expire at the end of the year -- before it can even get off the ground. We can’t let that happen. Tell your legislator to save the Clean Fuels Program. 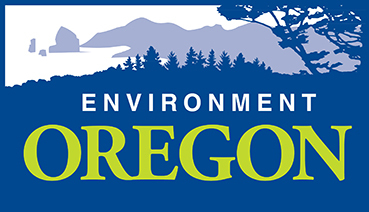 As an Oregonian who cares about clean air and economic development, I encourage you to support SB 324 and lift the sunset from Oregon’s Clean Fuels Program. The program is a reasonable request that oil importers gradually reduce the carbon pollution from their imported fuels. It creates a broader market for cleaner fuels that can also be produced right here in Oregon. As a consumer, I want more choices at the pump. This program creates options, rather than mandates, creating a win for the environment, consumers, and the economy. We're already seeing the positive effects of cleaner fuels--garbage trucks that are quieter and pollute less in our neighborhoods, a growing network of EV charging stations along the coast and the fruit loop that is attracting EV tourism. But this is only a start and allowing the Clean Fuels Program to sunset will undermine this progress. Please vote to lift the sunset on the Clean Fuels Program.